WINTERSVILLE — The Indian Creek Local School District is partnering with the Children’s Hunger Alliance on a new program to ensure that elementary pupils are getting proper nourishment. 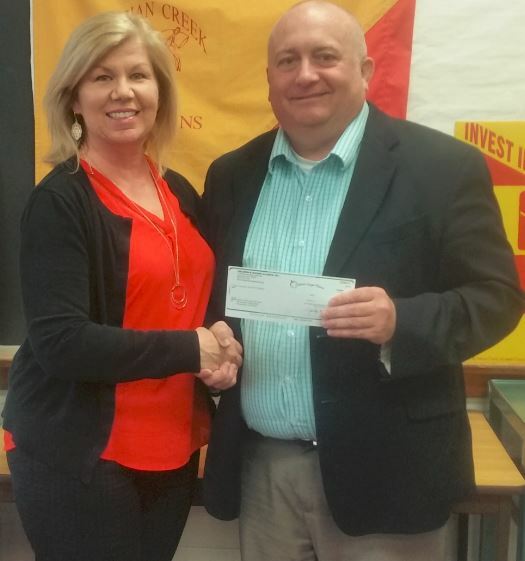 The district received a $2,000 mini-grant from the Columbus-based organization as part of a Breakfast in the Classroom program that feeds youngsters in class, allowing them to be focused and ready to learn, according to officials. District Assistant Superintendent John Belt said hopes are to implement the program by the end of this school year. Pupils will be able to eat nutritional meals in class, which will keep them energized and reduce the amount of time they are out of class while dining in the cafeteria. Belt said the funds will help purchase hardware such as hot boxes and a possible point-of-sale computer, if needed. District Food Service Director Eric White said the program impacts more than 900 students at the elementary schools, including 504 at WES and 404 at Hills. Karen Lloyd, president of the Indian Creek Education Association, said she and ICEA Vice President Sandra Vojvodich learned of the program during an Ohio Education Association conference in Columbus. “We thought it would add teaching time to the classroom and it would be a way to reach students who don’t go to the cafeteria. Breakfast is such an important part of our daily lives and it would bring savings to the district,” Lloyd said.